I personally love lists of anything so I wanted to share my own list of 101 Ways to Save Money! I implement most of these in my own life and give you examples and links to other articles in case you want to explore more on a particular item. These are in no particular order so just go down the list. Some you may already be doing and some you may have no interest in but with 101 ways to save money you’re sure to find ways to save in your own life! Save this to Pinterest to reference whenever you want! 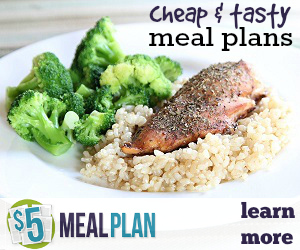 Planning your meals can save you a ton of money and time! I really never realized how much money I would save until I started to plan out my meals. I first learned about how to do this effectively after I took the grocery budget makeover course. I also use the $5 meal plan to help with this. You can replace your dryer sheets with wool dryer balls, not only do they save you money because you’re not buying dryer sheets but they also cut drying time 15 to 30%! Plus they last for years! I am super sensitive to fragrances so this one was pretty easy for me but really anyone can do it. I use Molly’s Suds Wool Dryer Balls instead of dryer sheets and you can add a few drops of essential oil on them for a nice scent. I love the Ibotta App! Ibotta is an App that gives you exclusive rebates at your favorite grocery stores, retailers, and online shops. I’ve earned over $360 with it so far, you probably hear me mention it all too often but its super fun and easy to use. Take a minute every time you shop to use Ibotta and save hundreds this year. Plus you get a free $10 Welcome bonus just for signing up and downloading Ibotta! Grab it here. Budgeting allows you to actually see your income and expenses. If you’re not creating a budget you’re missing out on the opportunity to see your big financial picture. The simple act of writing out a budget can transform your spending. You start to see things you’re wasting money on and can save money right away. 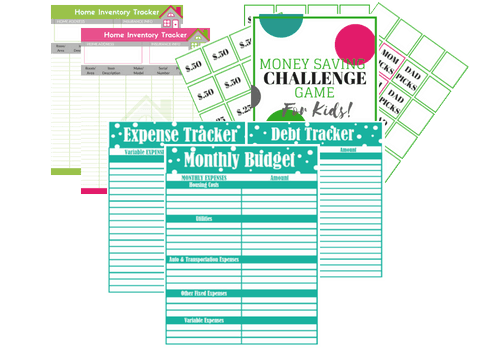 Not sure how to create a budget? 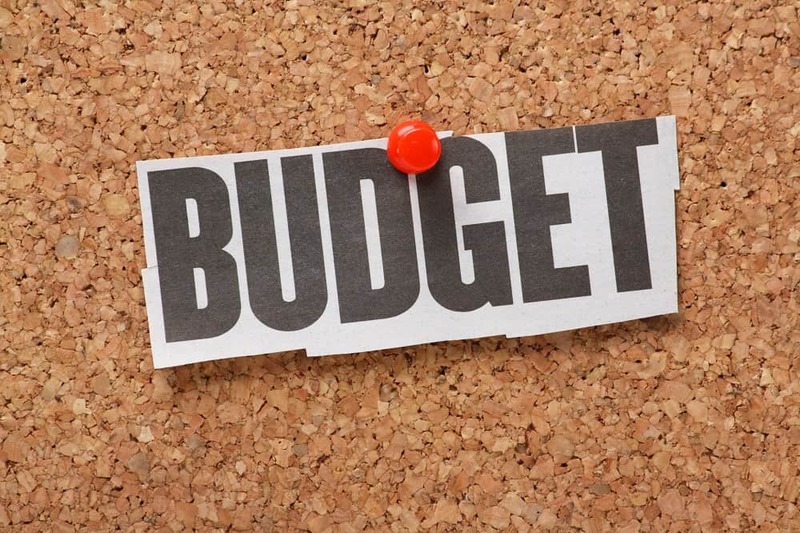 You can check out How to Create an Effective Budget to learn more. Are you paying for a monthly gym membership you don’t really use? Cancel your gym membership and start taking walks and doing some cardio at home. I know a lot of people who just keep their gym membership because its only $20 a month but if you’re not using it then you’re wasting $20 a month! I see far too many people using paper towels, plastic cups and such. Removing these items from your budget will save you money instantly month after month. It will only take a few minutes to wash your dishes, save the paper for parties or large get-togethers. You may also want to check out my article on 21 products that save you a ton of money. In that article, I share products you can buy that actually save you money over time. I’m sure this is on every money-saving tips list out there but it’s just true so I had to add it. If you’re eating out 5 days a week then you’re spending way too much money. You can start slow by taking your lunch to work 2 days a week and then 3 etc so you don’t get bored. Bring in your own water or juice so you can at least save on the drink. There are many places you can read books for free and I don’t just mean your library (although the library is great). You can check out websites like Bookbub.com, Glutenberg.org, and Paperbackswap. You can also download the Libby app which lets you borrow ebooks and audiobooks from your library via your phone! I show you how to set that up here. Do you have magazine or newspaper subscriptions and other subscriptions you don’t really need? How about Netflix, Hulu, Amazon Prime, and others? I actually love Amazon Prime and pay for it myself (hint: it’s on this list as a way to save money) but just make sure you’re using all its benefits. It’s far too easy to forget about subscriptions that get automatically billed each month. Sit down and take a look at your statements and see what subscriptions you can cancel. I purposely put this tip under cancel your subscriptions because do you need Netflix, Hulu, and cable?? I use Amazon prime which gives me free movies so I don’t use Netflix or Hulu. I also only have basic cable and plan to switch to a digital antenna once my contract ends. If you’re still under a contract there are still ways to save. Most contracts still allow you to make changes to the contract (I was able to reduce my channels without an extension). I also was able to give back one of my cable boxes and I bought my router outright so that I didn’t have to pay for it monthly. Just do the math and make sure its a good deal. Use a programmable thermostat, energy efficient lighting, and appliances. Turn off lights and unplug things when you’re not using them. This goes back to couponing a bit but I never ever pay for toothpaste, mouthwash and more by utilizing rewards programs, coupons and sales. It’s an easy strategy you can check out here. Savingstar is similar to Ibotta but its even more automatic because you can link up most of your reward cards right in the app. You can download it for free here. I almost always color my hair at home. Home color kits have come a long way and I like to use a safer dye (my favorite is Naturtint). Buy discounted gift cards for stores you shop at often. There are many places to get discounted gift cards but some of my favorites are Raise and Gift Card Granny. My water bill was getting a bit out of hand at one point despite only three people in the home. I finally did a little research and called the water company and realized I had a leaky toilet. Check out Why is my Water Bill so High for Tips. This will save you thousands in the long run! The sooner you pay down your mortgage the less interest you will pay. Check out Pay Off Your Mortgage Faster with 2 Simple Steps. 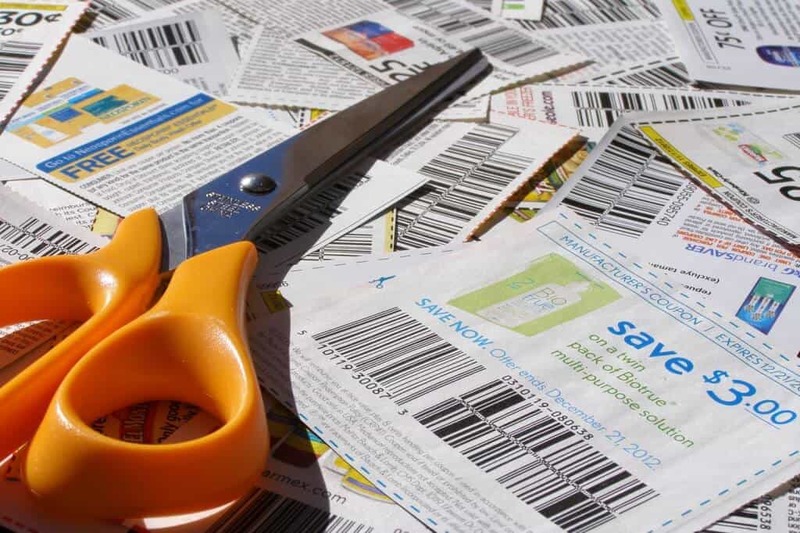 I love using coupons and even though a lot of personal finance folks may think coupons are not a great financial strategy I disagree. I save hundreds if not thousands a year with coupons. Interested in learning how? 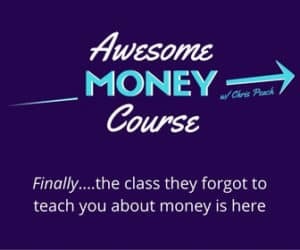 Check out my free e-course. If you’re going to shop online then shop smart. I personally love to shop online but sometimes it’s easy to forget to use a coupon code. Installing a money-saving Chrome extension (if you use Chrome) can make sure you never forget to use a coupon and will save you time so you don’t have to open up a new browser tab to search each time you shop. My two favorite money-saving Chrome extensions are Honey and Genie. I know, I know earlier on the list I told you to get rid of subscriptions like Amazon Prime but for some, it actually saves you money. You can save a ton on shipping, music, and movies so depending on your lifestyle this could be worth it. I watch Amazon Prime Movies for free and use the free shipping to get things I need in two days! It’s similar to Ibotta but all you do is scan your receipt and you can get rewards based on what’s on your receipt! Use My Referral Code: BM2BY, during signup and you’ll get 1,500 Fetch Points ($1.50 in points) when you complete one receipt. Sign up here. Plan your errands around where you will be. This is another common one but it’s easy to just run out to the store or go to one store than drive all the way to another on the other side of town. I am very guilty of this one. Lose a car key and you can end up paying a lot of money for a new one especially from the dealer. Lose a house key and you may be considering changing your locks. The good news is there is new technology that will help you track all of these items. If you have an iPhone you can set up the Find My iPhone App (it’s free) so you can track your iPhone if it ever gets lost. You can also use the Tile Mate which is a tracker that can be attached to many things and tracked via Bluetooth. Yes there is a lot of talk about how not having your latte isn’t going to make you rich but this is a post about saving money, so not having your latte is saving you money :). I buy Dunkin Donuts a few times a week and I use their free app so I buy my latte only when I earn my Free Drink, otherwise, I get my $2.29 medium hot regular. The rest of the days I make my coffee at home. Eating at home is almost always cheaper than going out. If you do go out order water and skip the appetizers. Another option is to just take out. Not only will this save you money but you will always have fresh vegetables and herbs. If you’re using a credit card pay it in full! That interest your paying is costing you so by paying in full you’re saving money. Again if your shopping online, shop smart by going through a cashback website like Ebates and Topcashback. I don’t do every 6-week cuts. If you’re just getting a trim, consider going to a hairdresser school or a cheaper salon. You can use a foot spa, a nice manicure set, and your favorite nail polish to make it a nice relaxing experience for a fraction of the price! Similar to doing your own manicures and pedicures, you can also do your own facials. I steam my face over a bowl of hot water then put on a nice facial mask. One of my favorites is the Dead Sea Mud Mask. Insurance companies give much better deals for new customers. Get new quotes and see if you can save more money. Look for a better deal or call your cell phone provider to ask for a discount. I’ve been with the same company for years and I call every year to try and get a better deal. They most often always give me some sort of “loyalty” deal. Whether it be more data or a $10 a month discount. Rearrange your closet, you will find things you forgot about. Create new outfits and swap clothes with friends. If you can do your own oil change you can save money. If you do go to a dealership or other oil change shop, be sure to look for coupons and take advantage of any rewards or loyalty discounts they may offer. I took an inexpensive course at my AAA to learn how to change out my filters in my car and it’s pretty easy for most cars. Consider learning how. Check out Do it Yourself Car Maintenence. This is hard because I love Audible but it is a monthly cost. You can listen to Audiobooks for free using Overdrive instead of using audible. Can’t bring yourself to cancel? Consider going through the process of canceling, when I tried to cancel mine I immediately got an offer to keep my subscription for half the price! This may vary but it’s worth a shot. I use to hate free samples because they are just so small but I found they’re actually perfect for traveling and for trying things before you buy them! I get some free samples from PinchMe.com. Insulate those windows and doors. Make sure your attic is fully insulated as well. Your washer has a fill line for a reason but I know people who not only surpass the line but also throw in a tide pod and a bunch of fabric softener. You really don’t need that much and you’re just wasting money. There are a bunch of thrift stores and thrift websites like Schoola and ThredUp (Get a $10 Credit using my links). You can also check out Apps like Poshmark (use code ESAVINGSBLOG to get a $5 credit) and Mercari where people sell their gently used items. These are also great places to buy designer items at a deep discount! It’s easier than ever to buy furniture, appliances, clothing and almost anything used now. Apps like OfferUp and Facebook Marketplace are easy to use and you can save tons of money. Keep in mind you want to check out who you’re buying from, check their profiles, bring a friend and meet in public places when you can. 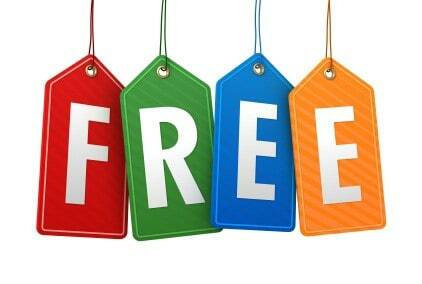 Use sites like Freecycle to get stuff you need or want for free from locals in your area. Freecycle is a nonprofit movement of people who are giving (and getting) stuff for free in their own towns and neighborhoods. Need something? You can post it to your local group and see if someone has what you need. I hate borrowing things but I have learned to do so over the years. If you need to powerwash your house once a year and your friend has a power wash, why not borrow it? If your close friends maybe you can each go half on one to share. Filter your water instead and get a reusable water bottle for on the go. Meat is expensive. Doing a pasta night once or twice a week is super cheap and can save you a good amount of money. Pay a few bills automatically with your credit card so that you earn points on them. Just remember to pay your bill right after so you don’t pay interest! You’re going to pay those bills anyway so why not get rewarded for it. Designate a set amount to automatically go into savings. When you get a raise or any extra money start putting that into savings as well. Set it and forget it will build your savings. 49. 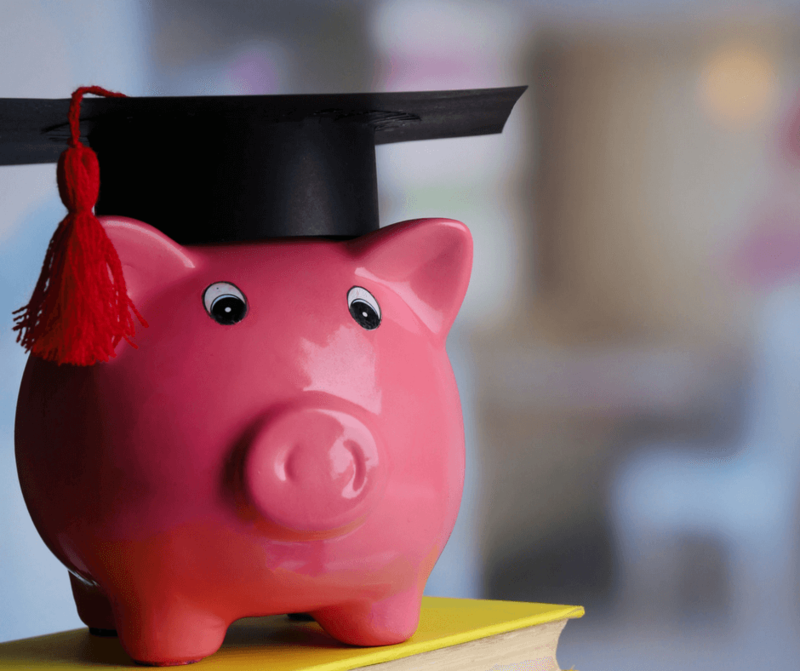 Avoid Student Loan Debt by Getting Scholarships! There are tons of scholarships out there up for grabs. 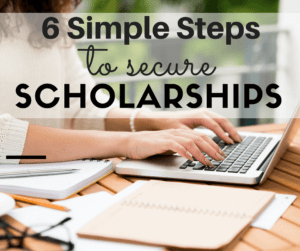 Sign up for this free webinar to learn 6 Steps To Quickly Secure Scholarships For College (…And Avoid Student Loan Debt). I know I spent a ton of money going to birthday parties and weddings over the years. Sometimes you just have to say no if you cannot truly afford it. If you print often consider signing up for HP Instant Ink (see how you can get 4 months free here) if you have an HP printer or use these methods to save money on ink. If you print very little use this method to print free for life. Most employers match contributions to their 401K plans up to a certain amount so by not signing up you’re losing money. You may not think of this as a money saving tip but it is. If you have your identity stolen or compromised you can lose lots so make sure you’re protected in every way. Always check your credit reports for errors. You can check your credit report for free each year by visiting annualcreditreport.com. Use a meat delivery service or go to a wholesale store, buy on sale and freeze. To make it easier you can even prepare freezer meals that will be ready to go when you need them. Want to learn how to prepare 10 delicious meals to load into your freezer in less than an hour? Check out MyFreezEasy Freezer Cooking Meal Plans. I learn so much from these free resources! 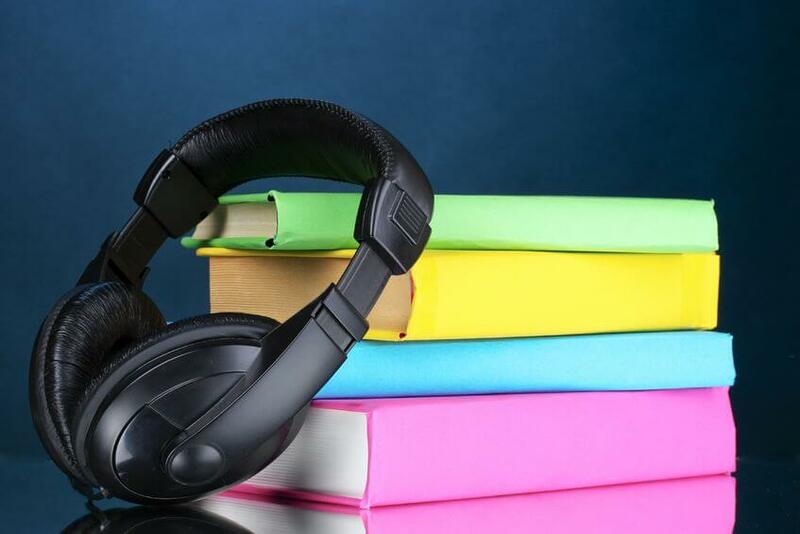 Check out The Best Podcasts about Money. Listening to podcasts while you drive or clean is a great way to get motivated to save money. Weekend getaways are usually much cheaper. Plus you have time to recover afterward versus a long vacation. Create a price book to keep track of sale cycles and stock up prices. Sales are usually in cycles and once you learn the cycles you will save more. The Penny Pinching mom has a great article on how to create a price book here. A bunch of places will give out freebies for your birthday. I can’t list them all here but check out Places that Give you Free Stuff for your Birthday. You can rent and buy inexpensive college textbooks right on Amazon. Take your kids outdoors for a hike, a walk or a bike ride instead of an expensive carnival or amusement park. You can also take advantage of free museum and national park days, just research online to see what days are available in your area. Never heard of Paribus? I really love how it helps you save money after the fact. Paribus will get you money from a number of retailers if the purchase price of your item goes down or even if your packages are late! Find out if stores owe you a refund – sign up for Paribus for free! Limit the number of gifts you have to purchase by doing a Secret Santa or Yankee Swap so everyone just buys one gift each within a set budget. If you have to be at the mall then take advantage of money making apps like Shopkick. Shopkick gives you rewards for just going into stores and also for scanning items. Sign up free here. Shopping sites like True&Co (Get $15 Free by using my link here) will give you free shopping credits just for signing up! Get even more by referring friends. Other sites include Erin Condren, Ruelala and Grove Collaborative. Find a full list here. Consider downsizing your home or vehicle to a less expensive one. 67. Stay Off Social Media! Social media can make you broke if you’re continuously comparing yourself to others and what they have. If you have a good credit score you get better rates when applying for loans. Check out how I was able to get a perfect credit score. Take advantage of clearance and deals throughout the year and build a gift closet. A gift closet will keep you from spending more than you can afford when you do have to buy gifts. Just don’t overbuy and make sure you have a person in mind when you are shopping throughout the year. When you get organized and stay in the organization mindset you are less likely to spend money on things that take up space in your home. I highly recommend reading The Life-Changing Magic of Tidying Up and The More of Less. Take advantage of every reward program you can. I’ve only been to Panera bread like 4 times but because I am a reward member they gave me a month of free bagels! That’s just one example out of hundreds of programs out there. 72. Put Those Purchases On Ice! No, I’m not talking about freezing those credit cards either! Use an add-on like ICEBOX to prevent splurges! Icebox replaces the BUY button on different websites. Make a list and only buy from that list to avoid overspending. Instead of going out to grab a few drinks and eat, plan a night in with friends. Buy a bottle of wine, some beer or whatever you prefer and make some appetizers or order in. Water is free and much healthier. Staples has an awesome rebate program, I get free copy paper often through their rebate program. I also love taking advantage of rebates at JCPenny and Kohl’s. 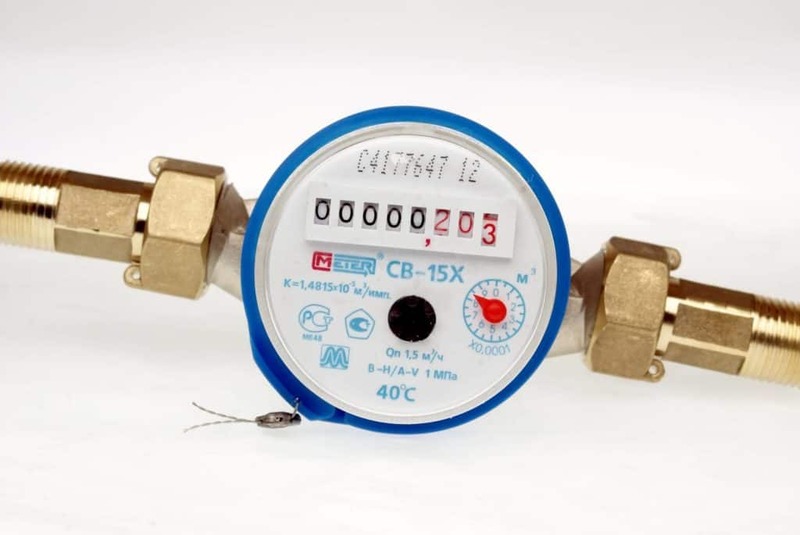 Check for rebates on products you are purchasing. I have gotten reimbursed for expensive dinners, movies and more by being a mystery shopper. Plus you can earn a little extra cash. Find out more about How to Be a Mystery Shopper. Take courses and learn a new skill very affordably with sites like Udemy. They often have $10 sales and some classes I have taken have been worth a hundred times that! Certain bills particularly insurance will charge you a fee to pay monthly or give a discount to pay in full the 6 months or 1-year premiums. They will usually never tell you this but if you look at your bill you will see it. My car insurance charges what turns out to be $5 a month if I pay monthly. So by paying 6 months in advance, I save $30. Consider starting a side hustle so you can earn more money so that you can save more money. Check out 5 Legit Work From Home Jobs. Take advantage of prescription drug cards and other benefits to get the best deal on prescriptions. Pay your taxes on time, renew your license and registration before they are due to avoid fines. Don’t speed and always wear your seatbelt. A ticket or violation can be a real hit to your wallet. Besides possibly matching 401K contributions, many employers offer discounts on cell phone bills, gym memberships and more. Make sure you’re getting the best interest rate you can on your savings. Look around for a better interest rate and consider an online bank which often offers higher rates. Setting up automatic payments will prevent late fees and interest. Look at your bank account statements! Are you paying any fees? Make sure you know what you’re paying for, Some banks require you keep a certain amount in the bank to avoid a monthly fee, others require a direct deposit or a certain amount of debit card transactions. I had one account that charged me $15 a month, I finally called to see what I can do to get rid of that fee and all I had to do was use my debit card three times. That account wasn’t used often so I just started buying a coffee with that card three times a month. It was a treat because I only spent $9 on coffee versus getting a $15 fee each month! This may not be for everyone but if you’re spending money on electricity then you may want to go solar! I plan on going solar next year. Clean and change filters for your heating systems and consider getting your furnace checked and maintained yearly. Cover your grill, outside AC unit, and lawn equipment or put them away in the winter to prevent wear and tear. Taking care of yourself and getting yearly checkups is super important! Most health plans will include a free preventative care visit because they know the sooner you catch something the less they will have to pay in the future. See what you’re paying for in your budget and see what you can swap out for free or cheaper services. You don’t always see things the first time around when doing your budget but as you get better at it you will. For instance for my job we were using a $99 a month project management software that we really did not need all the features of. After a little research, I was able to swap it out for Asana (the free version) and it works just as well if not even better! You can do the same for home services and such. 91. Pay Off Your Credit Card Debt! Debt incurs interest and interest is money you don’t need to be spending. Make Google your best friend! You don’t know how many times I saved money just by doing a little research and fixing the issue myself. Especially when it comes to my car and home! Doing a little research before you hire someone to come take a look at something or before bringing your car into the shop can save you hundreds if not thousands, over time. Use DIY Drycleaning Kits and dry clean your clothes at home. Not only is this a great way to wake up in the morning but when the suns out it’s a great way to heat your home. Almost everything is negotiable. Try and negotiate prices at the store, negotiate raises at work and negotiate contracts before you sign them. Make sure there are no mistakes on your bills and that you’re being charged what you’re supposed to be charged. There are many advantages to FSA (Flexible Spending Accounts) and HSA (Health Savings Accounts) accounts so be sure to take advantage when you are applying for benefits each year. This may not be for everyone but if you eat seafood you can save money by catching it yourself. You can go fishing, get clams, snails, crabs, and more. I am guilty of this one sometimes. I shop hungry and buy things I don’t need because I am thinking with my stomach instead of my brain. Set your personal finance goals now! Don’t wait until the new year, goals help you stay on track and keep yourself accountable. Get the family involved and reach those goals faster. I had to put this on the list because I try and find as many ways for you to save money as I can and if you’re on my list you will be the first to know! Plus you get access to all kinds of freebies! Great and wonderful 101 ideas to cut down expenses or excesees and live below your means to be a good money saver and flee the rat race.